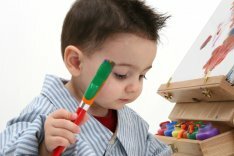 Day care and child care companies offer a special level of personal attention to their clients. To maintain your high level of support you need to focus on the needs of the children, not your books, and we can help. SD Hodges & Associates, PC provides financial management to all kinds of businesses in this challenging but rewarding industry. Our goal is to offer the bookkeeping, payroll, budgeting, and tax planning strategies that will keep your business running smoothly so you can spend more time caring for the needs of your clients. We understand the type of support you need because we have experience working with many other similar businesses in the Homewood, IL area. Call us at 708-279-4151 to find out how we can handle your accounting and bookkeeping tasks, develop tax planning strategies and offer solutions to make your business more profitable. We offer a free initial consultation to get started.